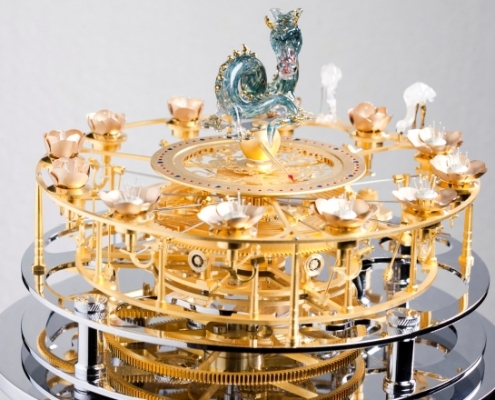 The centre of the Chinese flower clock carries a glass dragon. 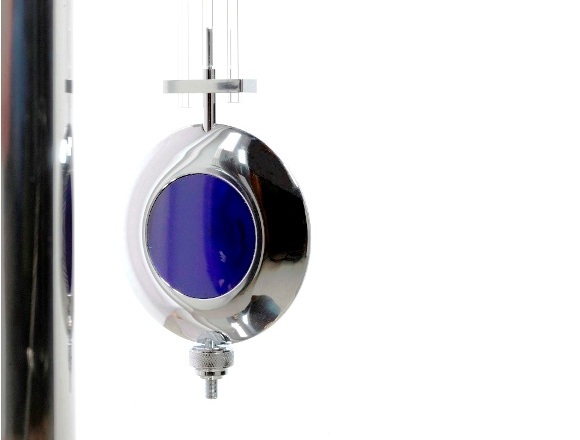 It turns about its axis and indicates the minute with its tail. 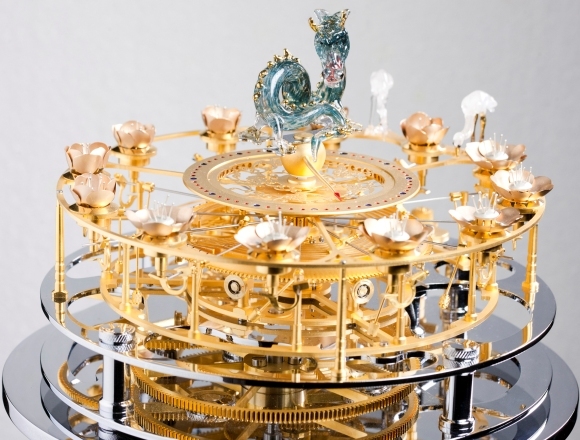 At the start of every hour, a meticulously finished mechanism slowly opens the leaves of one of the twelve octofoliate golden flowers, which remains fully open at the end of every complete hour. Shortly after 12 o’clock, all the flowers close again and the first starts to open once more. 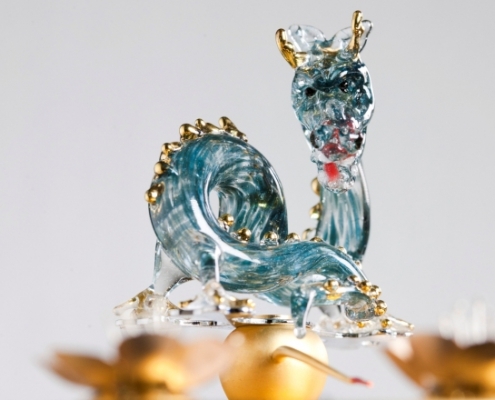 Next to the dragon, one of the most complex symbols of China, and nestled among the flowers are two glass cranes, symbolising long life and wisdom. 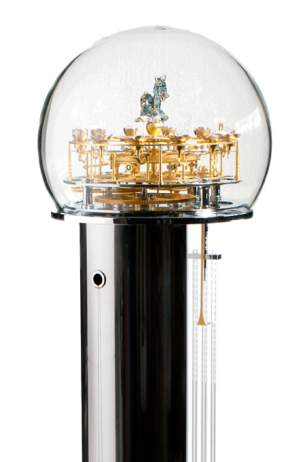 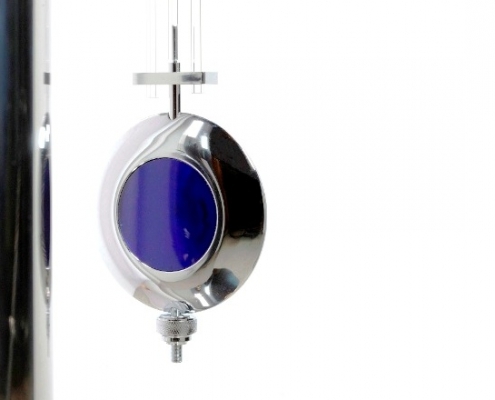 The clock boasts a chronometer escapementwith impuls every two seconds. 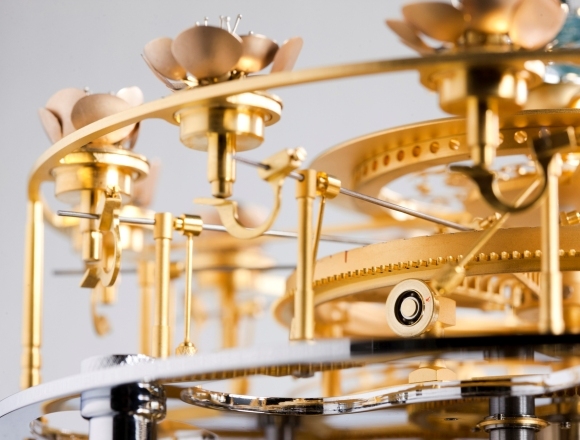 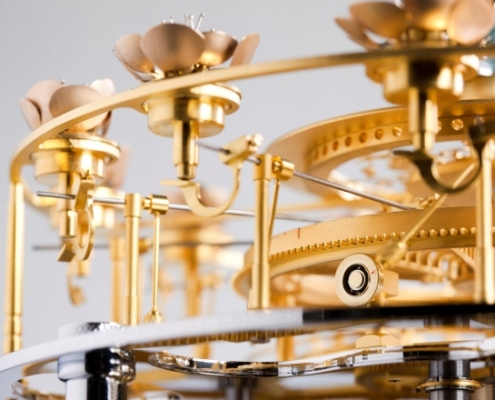 The clockwork movement is gilded and chrome-plated. 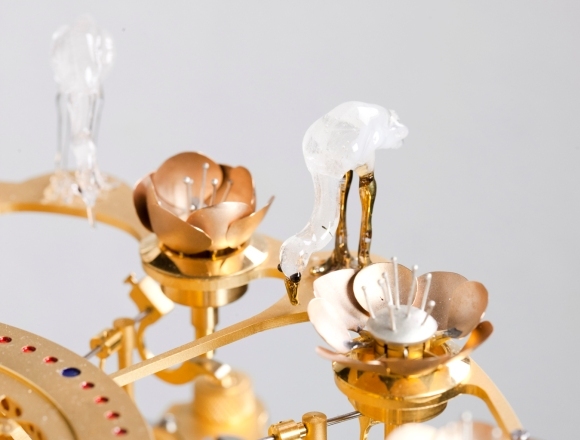 The flowers are made of 18K red gold and the pistils are made of silver. 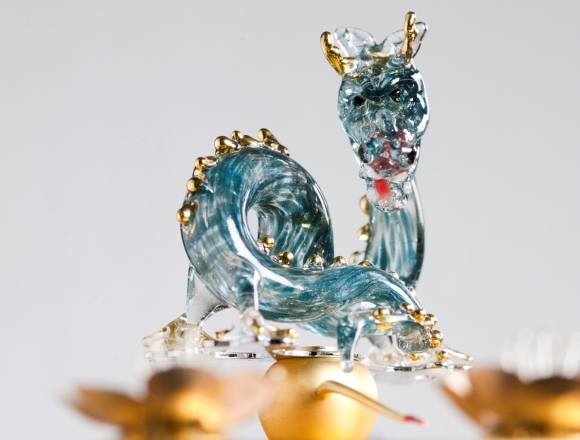 The glass figures were created by the Zürich-based glass craftsman, Guido Stadelmann.